Kansas is reporting that its unemployment rate dropped slightly to 5.6 percent in October, and the state saw a gain in private sector jobs over the year. 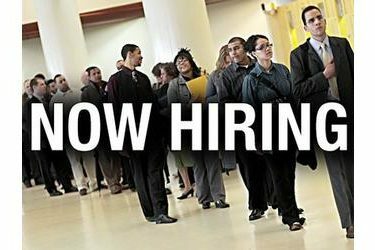 The state Department of Labor reported Thursday that the seasonally adjusted unemployment rate last month declined from the 5.7 percent recorded in September. The jobless rate also was 5.6 percent in October 2012. But the department said in Kansas the number of people holding nonfarm jobs in the private sector was 18,400 higher in October than in October 2012, for a total of 1.12 million. The rate of growth was 1.7 percent. The most robust sector in over-the-year job growth was in business and professional services, which saw employment rise 5.2 percent to nearly 167,000.